Coptic couples affected by personal status laws participated in a divorce ceremony on Saturday evening– the first of its kind for followers of the Christian sect. 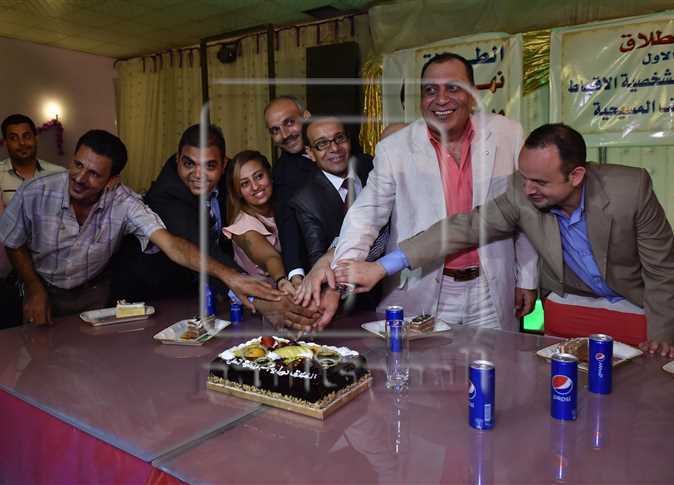 The participants celebrated their ‘second chance’, stressing the need to adopt a civil law that guarantees Copts the right to divorce and re-marry, and expressing condemnation of the Church’s negligence on the matter. Jaber al-Nakhili, one of the ceremony’s divorcés, said that his marriage had been turbulent for 12 years, and that the couple had been through 14 court cases. He cited the legal separation as a “rebirth”. Emad Khair-Allah, another Coptic divorcé, said that a new law giving Copts the right to divorce and marry again would solve the dilemmas of thousands of Christians. He added that there are people resorting to converting from their sects, while others have committed suicide. Founder of the Right to Live movement Ashraf Anis pointed out that the problem of personal status law affects more than 600,000 cases according 2011 statistics– a number which has now likely doubled, he said. On the other hand, president of the Egyptian Federation for Human Rights, Naguib Gabrail, described the divorce ceremony as “mere media exposure”, citing a 2010 Supreme Constitutional Court ruling which states that the Church’s personal status decisions are not subject to judiciary verdicts. The late pope Shenouda III had restricted divorce to cases of adultery or conversion to another religion or Christian sect, amending a 1938 bylaw that permitted Copts to divorce on the grounds of impotence, abandonment, abuse, and mental disability. Egyptian law places the fate of issues pertaining to personal status of Coptic Christians to their church. As a result, Christians in unhappy marriages who wish to divorce, but in which adultery is not a factor, face a stark choice: either fabricate an adultery claim, or convert.